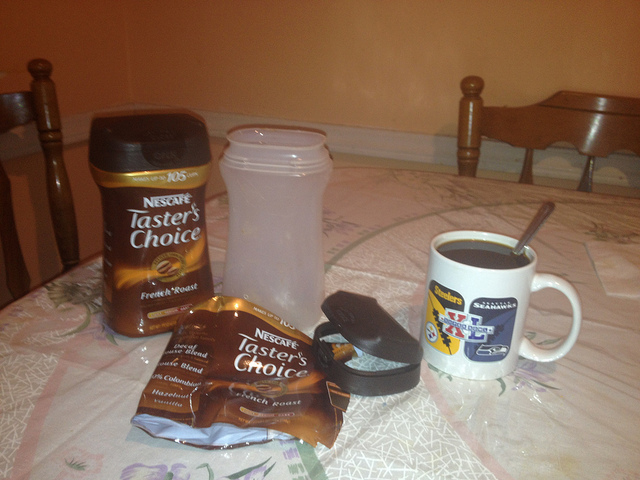 This Nescafé Taster’s Choice coffee container couldn’t be reused or repurposed, much to my dismay. Recycled it. I am big on recycling. My grandparents saved string and told me stories about what it was like during the War. People saved aluminum foil then, also cooking grease, and fat, the Boy Scouts held paper and rubber drives; all these materials were reused for the war effort. 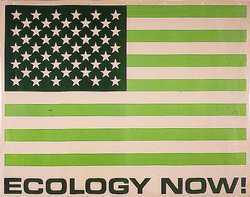 Or maybe it’s a result of the environmental movement, where green was groovy, Earth Day was born in 1970, and recycling centers started to appear. 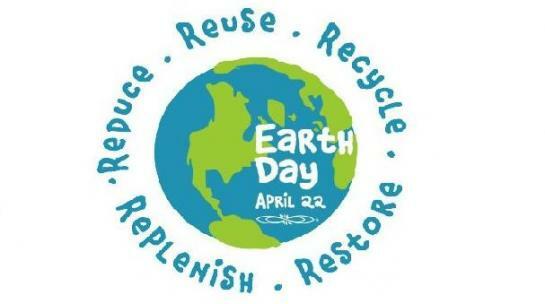 Or perhaps I love recycling because I am frugal at heart and can’t stand to see good stuff wasted. I dutifully separate my trash and take the recyclables to the basement with pleasure. New York City apartment buildings recycle with assistance from the NYCRecycles program. Blue bags accumulate recyclable plastic, glass, and metal. Clear bags gather paper. Rigid cardboard boxes get bundled for curbside pickup. The ubiquitous regular black trash bags containing icky stuff also go to the curb. As an experienced trash picker, I walk the city streets with an eye on the “curbside boutique.” Last month I picked up a folding laundry drying rack that only needed a small twist of duct tape to hold a loose rod. This model retails for $30!!! The other day I was flummoxed by my trash. I put a perfectly good, presumably reusable or repurposeable container from Nescafé Taster’s Choice French Roast coffee into my recycling bag… and hated doing it! I felt quite puzzled because there was nothing I could do to repurpose this container. I don’t need a translucent container for cotton balls (besides, it would smell faintly of coffee even with rinsing). I can’t use it in a centerpiece for the bar mitzvah. It can’t hold loose tea or bagged tea since it’s not completely airtight (though it’s fine for instant coffee since we go through it quickly). My paintbrushes have a home elsewhere. Other skinny items don’t need jar storage. Although my friend’s mother saved glass jars to store soup and all sorts of food, this container would not fare well in the refrigerator. In fact, at that moment, all I could do was put it in the recycling bag. It seemed like there should have been something else I could have done, but there wasn’t. So now it is off to the recycling facility, to be melted and used for park benches, carpet, or something else. I still believe in recycling, but it pains me that the jar can’t be reused or repurposed. I photographed the offending object and resolved to contact the company, maybe creating the subject of a future blog post.